Empowering the next generation of US-China bridge-builders. Building a global community of people with firsthand China experience, and fostering constructive relations between the United States and China. 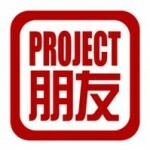 Project has not yet entered any US-China eperience. Project has not yet entered any work eperience.